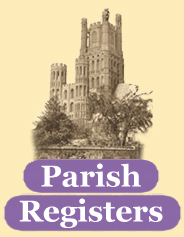 Parish Records - What is Genealogy? The study and tracing of family pedigrees. This involves the collection of the names of relatives, both living and deceased, and establishing the relationships among them based on primary, secondary and/or circumstantial evidence or documentation, thus building up a cohesive family tree. If you are stuck in your research, or need a place to begin, there is a detailed guide at TheGenealogist which was written by David Tippey, a leading genealogy expert. Click here to view this guide. Records are available from 1837 - 2005. This also means you can find your birth record! Every ten years in England and Wales, a record is taken that contains the names of all individuals living in a household, including ages, occupations, position in the household, etc. This is called a census. These records can help you trace members of the family that perhaps you could not find in other records. Transcripts and Indexes are available for the 1841 - 1901 census. Directories: These are both a research tool and a valuable insight into the lives of your ancestors. They include nobility records, publis houses of the area, Post Office directories in the late 1900s which gives information about local tradespeople, and more. Specialist Records: These can help you to find relatives known to be involved in specific fields, e.g. crew lists and landowner records.